A royal commission into family law should be considered if reforms currently underway do not address serious failings in the system, according to the outgoing Chief Justice of the Family Court. Chief Justice John Pascoe has told the National Family Law Conference in Brisbane family law had become increasingly complex. 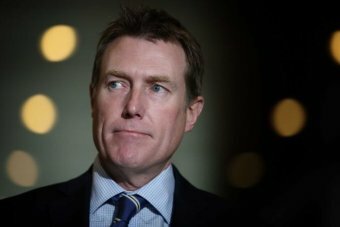 Earlier this year, Attorney-General Christian Porter announced plans to merge the Family Court and the Federal Circuit Court, promising it would ease the significant delays and costs for people stuck in the system. The Australian Law Reform Commission (ALRC) is also conducting a wide-ranging review of the system, with its report due to be handed to the Federal Government in March next year. Lawyers have been critical of Mr Porter’s merger proposal, which would be the most significant shake-up of the sector since it was established in the 1970s, arguing any changes should wait until the ALRC delivers its findings. Chief Justice Pascoe said there had been about 50 major inquiries into the Family Law Act, but argued further investigation might be required. “In my view, if legislation and the ALRC report do not assuage public concerns about the family law system, it must surely be time to consider a royal commission into family law,” Justice Pascoe said. “This will allow comprehensive public discourse by all stakeholders on all elements of the family law system and the protection of children. “Continual tinkering with the system, which we’ve seen over the past 40 years, in my opinion adds to complexity, uncertainty and cost, and often we don’t tackle the really big issues such as the divide between child protection and the family law system. 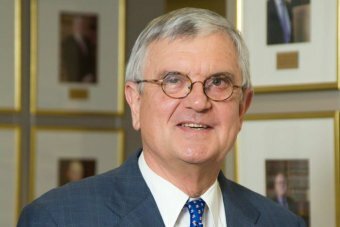 Chief Justice Pascoe’s tenure on the bench ends in December, when he will be replaced by the current Chief Judge of the Federal Circuit Court, William Alstergren. His comments came as the ALRC released a large number of proposals to fix the system, ahead of its final report being delivered. Among the suggestions are the appointment of a “child advocate” to protect the interests of children caught up in bitter family disputes, and broadening the list of examples of things that could be considered family violence to include emotional and psychological abuse, and using technology to conduct abuse. 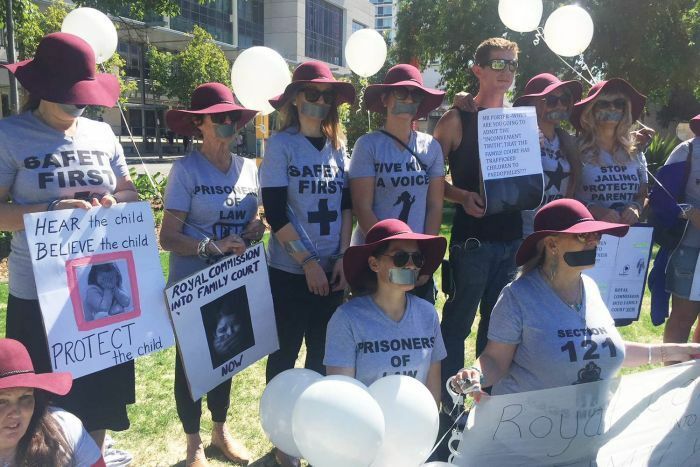 Protesters this morning gathered outside the family law conference in Brisbane, calling for a royal commission into the family law system. Some judges have also criticised the proposed merger, describing it as being thought up by accountants rather than those working in the field. Chief Justice Pascoe told the conference he witnessed a significant rise in violence, substance abuse, and mental health issues during his time as a judge on the Family Court and the Federal Circuit Court. “It’s a sad fact that the spectre of violence and harm is present in the courts every day and adds a high level of stress to the work of the judges and the profession,” he said. He singled out the 2009 murder of four-year old Darcey Freeman in Melbourne, and the recent killings of teenagers Jack and Jennifer Edwards in Sydney. “These are matters that haunt us all and lurk in the shadows as we face new cases with allegations of violence and wonder which seemingly commonplace case may suddenly take a horrific turn,” Justice Pascoe said.